01/10 - Pre-operative clinical view. 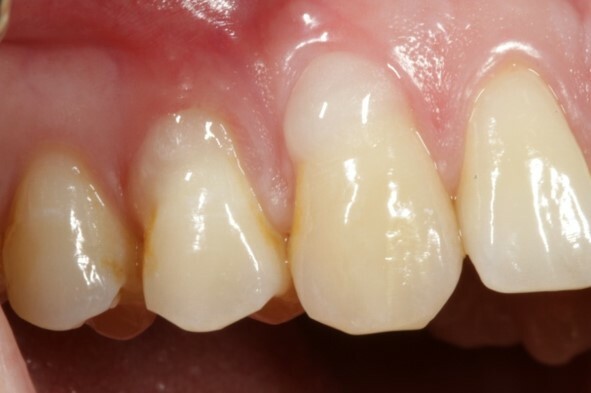 Multiple adjacent gingival recessions. 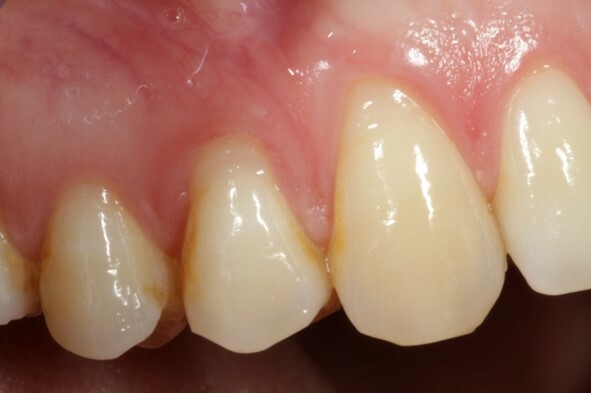 02/10 - Multiple adjacent gingival recessions. Lateral view. 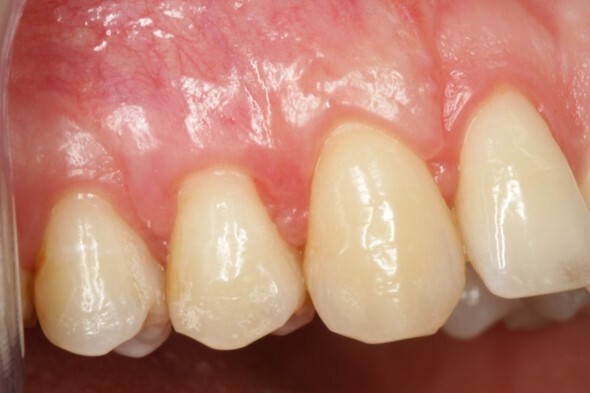 03/10 - Application of Straumann® PrefGel® over the exposed root surfaces. 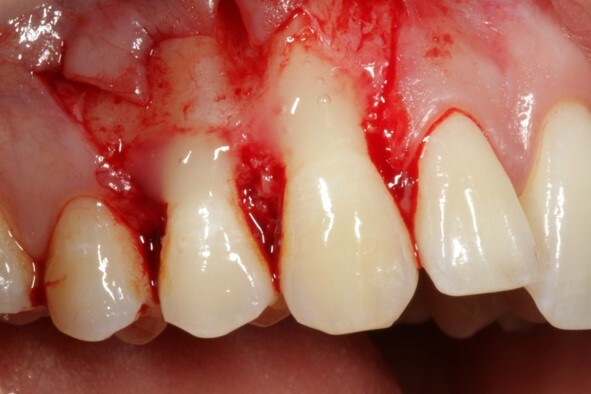 04/10 - Incisions and flap preparation according to the coronally advanced flap technique (Langer & Langer J Periodontol. 1985). 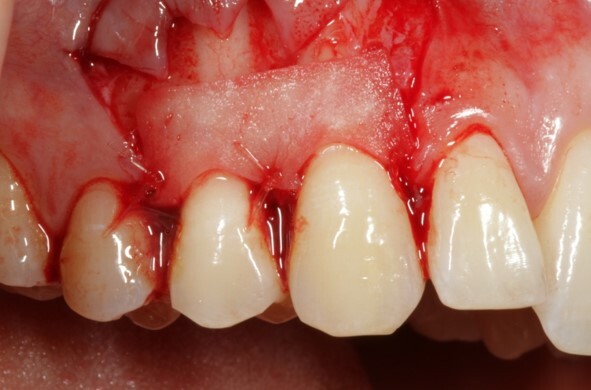 05/10 - Application of Straumann® Emdogain® all over the cleaned root surfaces. 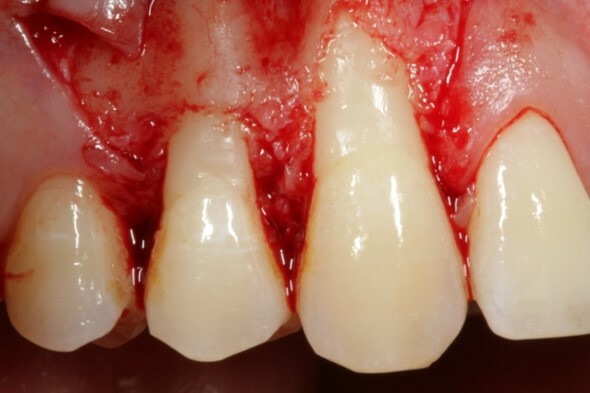 06/10 - Fitted and rehydrated mucoderm® matrix is placed over the root surfaces and tightly sutured to the wound bed. 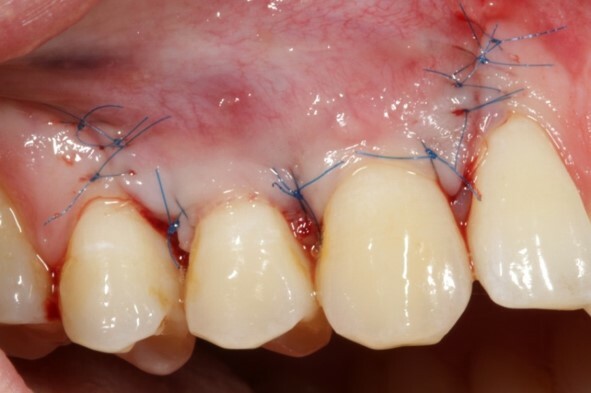 07/10 - Repositioning of the flap in coronal direction and suturing. 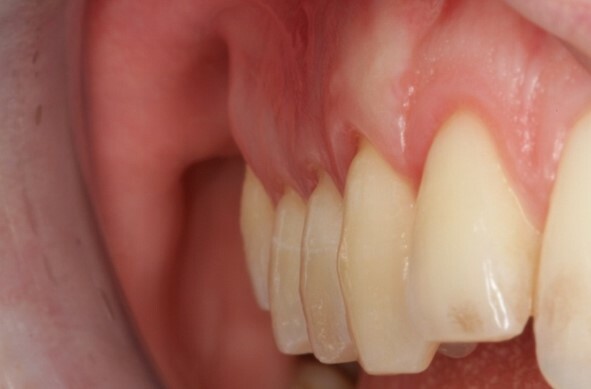 08/10 - Clinical view at 6 weeks post-operative. 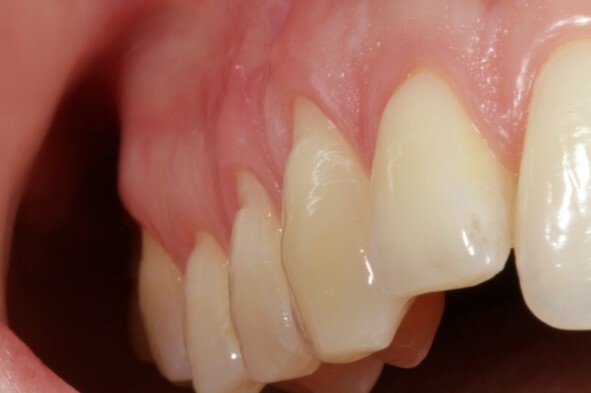 09/10 - Clinical situation 3 months post-operative. 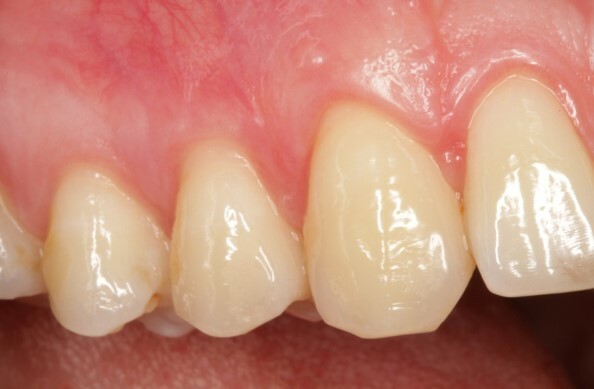 10/10 - Clinical situation 3 months post-operative. Lateral view.